Learning to sew can be a bit scary and confusing. Learning to sew online can be even more frustrating. A lot of the time new sewists are worried about where to start and what the best beginner sewing projects are. 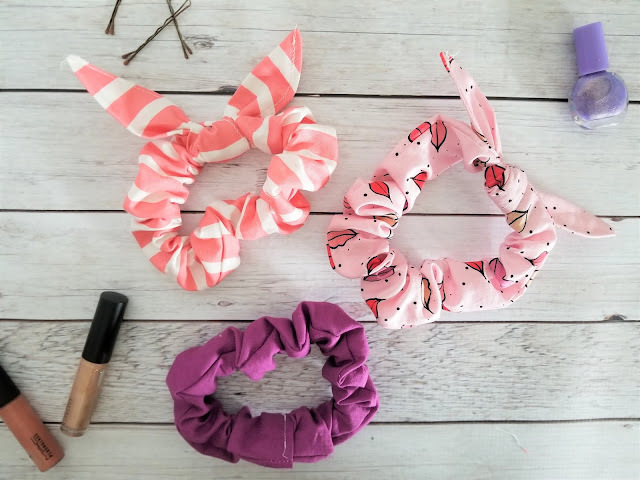 I want to take some of the fear out of that process for you including links to over 200 amazing beginner sewing projects. If you are brand new to sewing, make sure to start by checking out our Learn to Sew Online course. 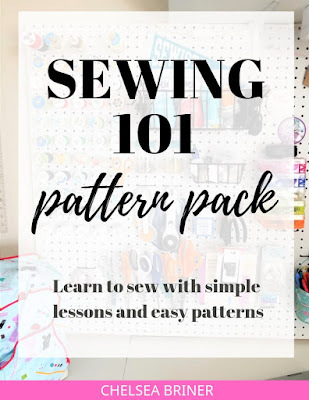 It is free and will walk you through all the steps including how to thread your sewing machine to learning to sew a pattern to what needle you need to use. But if you don't have a sewing machine yet, we've got a great list of the best beginner sewing machines for children, teens and adults. It takes a bit of the guess work out of what to look for in a sewing machine. Once you've got the basics down, the best thing to do is start sewing. Take some time to decide what type of project you want to create. Do you want to make sewing projects for the home? Perhaps you want some seasonal projects like these easy Christmas Sewing Projects. Or maybe you are looking into a simple bag or purse sewing pattern. 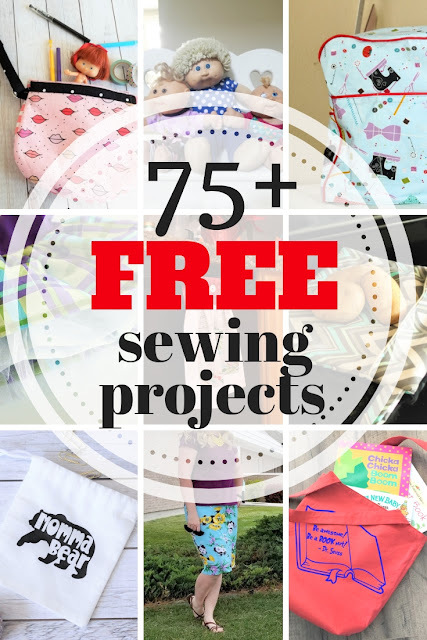 There are so many great free projects online to choose from and get you started. A great way to organize your thoughts is to create a Pinterest board specifically for beginner sewing projects that you want to try. Or a couple boards like easy sewing projects for the home or sewing projects for the kids. Now start pinning away!! You can also follow us on Pinterest. We are always pinning new ideas and projects and not just from our own site, but of other great sewing projects we find online. If you are still a little worried, start with the list below. 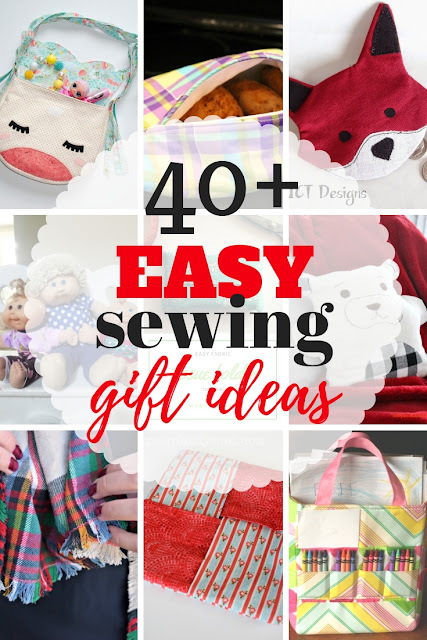 I'd include some of my favorite beginner sewing projects below along with this list of Easy Newbie Sewing Projects. The projects below are projects that I use every time I teach a new sewing class. Yep, that's right. These are patterns my own sewing students use!! I've been teaching sewing for over 12 years to more than 1000 students. So you know they are good beginner projects. Each of my students have been successful at completing 2 or more of these projects (some of those students are as young as 5 years old!!). Just remember to take baby steps. You can't eat the whole elephant in one sitting. This project is probably the most popular project for my students. For some reason we all love creating pillows. (I'm included in this, I've got 13 pillow patterns and tutorials here on the blog!) Pillows are a great basic sewing project to start with. 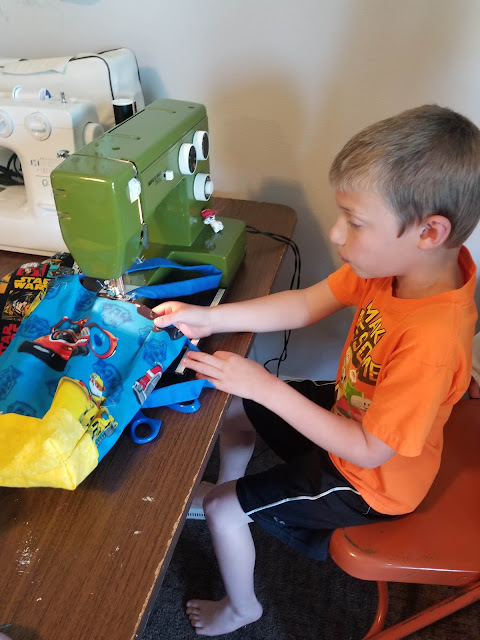 Drawstring bags are such a useful sewing project, but they also teach some great skills like how to make a casing. Which you'll use on other projects like pants and skirts. I love this project. 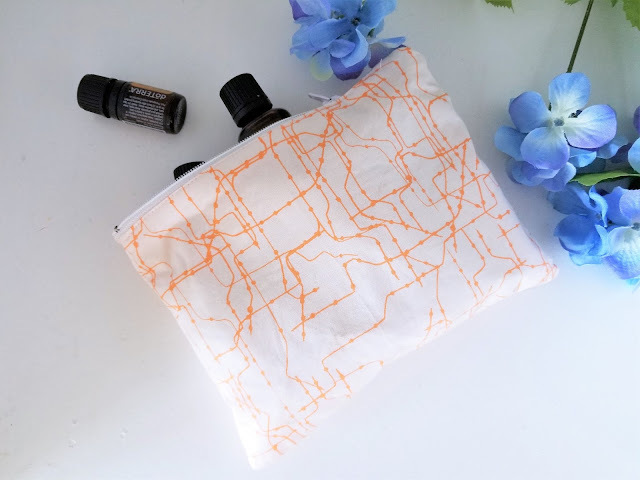 If you are struggling to sew a straight line, make this crayon roll. You'll get lots of practice plus get a cut little project out of it. This is one of my newer projects. It is very similar to the Crayon Roll, but tends to be equally as popular. Some students really want to start with something a little bigger. This superhero cape is a great project if you just don't want to make something small. You'll get a lot of the same skills as making a pillow but with a little more of a challenge. Pillowcases are way easier than they look. And this burrito pillowcase is kind of magical. You'll learn lots of skills making this easy sewing project. Once you've mastered the straight line and the casing, this apron pattern will be a breeze. You'll use your iron a lot more, but in the end, you'll have the cutest little apron ever. This is a relatively new pattern for my sewing students. But it is a great practice pattern for sewing with elastic. Making a ruffled skirt requires learning to sew gathers. And since this skirt is so adorable, it will be sew easy for you to learn and succeed. I will admit, I have probably helped more than 500 people make this pattern. I'm not lying. My students LOVE this bag. It is probably the second most popular project after the Penny Pocket Pillow. Zippers scare so many people, but they don't have to be scary. This pattern is simple, useful and perfect for a beginner. Can't wait to sew up some clothes? This kids pajama pant pattern is for you. You'll combine loads of skills like making a casing, sewing a straight line, and using that iron. Just remember to start small. Little victories make a BIG difference in sewing. If you start with something difficult, chances are you won't finish and you might end up hating to sew. You'll make a lot of mistakes even with your first, simple projects. Believe me I have. But don't give up!! Sewing is a challenge that is worth learning, using and enjoying week after week, year after year. And when you sew up that first garment, you'll be so proud of yourself you'll never look back. Like I said before. 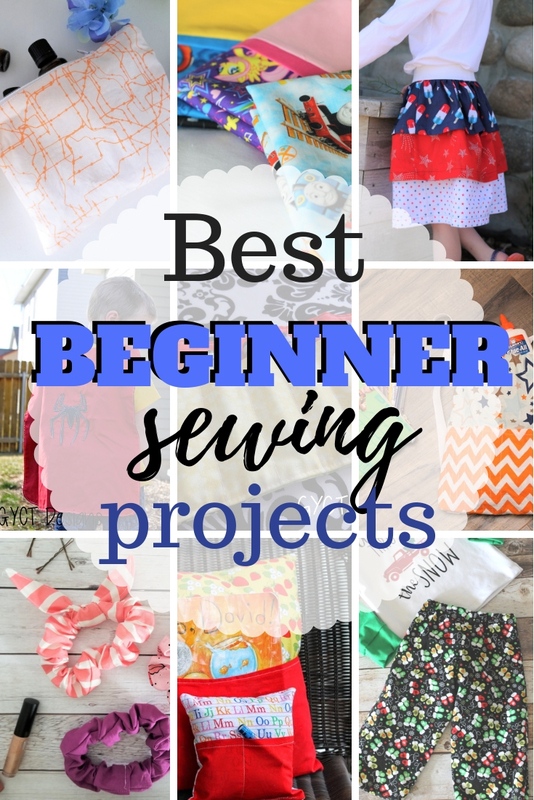 This is a small list of our tried and true beginner sewing projects. But we have SO many more. 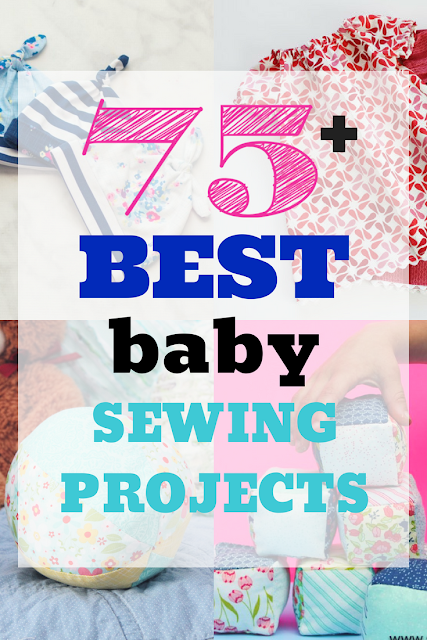 Like our list of Free Baby sewing patterns. With over 75 projects to choose from, I am sure you will find something you are confident enough to sew. 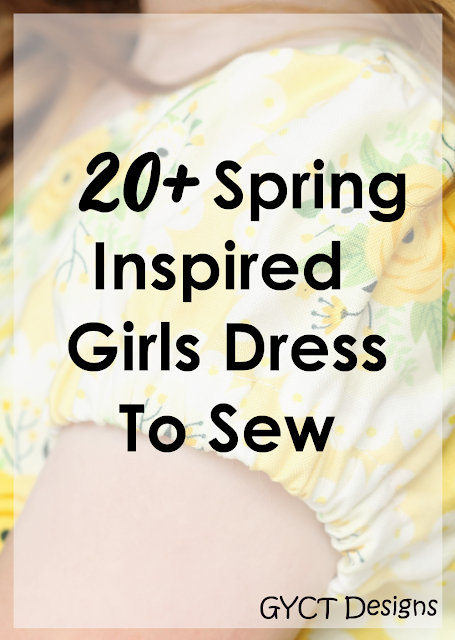 I've also compiled a Giant List of our Free Sewing Patterns. We have nearly a hundred free patterns right here on the blog. Ranging from pillows to kids clothes to patterns to organized your home. Want to learn to sew? Grab our Sewing 101 Pattern Pack. You'll get 7 beginner sewing lessons and 6 amazing beginner sewing patterns all for $14.99.